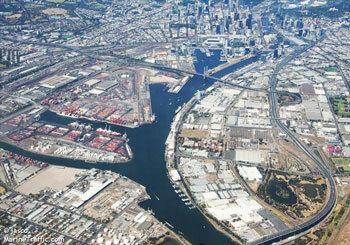 Australia’s Victorian Government has approved the lease of the Port of Melbourne to fund local transport infrastructure improvements. The agreed lease includes the entirety of the port’s commercial operations, but the state government will continue regulating safety and retain responsibility for the harbour master. Victoria’s independent economic regulator, the Essential Services Commission, will oversee the pricing structure for port users. According to the Australian Broadcasting Company the State Government is hoping to receive around AU$6 billion (US$4 billion) from the privatisation of the port. AU$700 million has been promised to developing rural and regional areas’ infrastructure within the state. The government claimed annual tariff increases will be capped at the consumer price index (CPI) for at least 15 years to try and protect Victorian producers, manufacturers, other exporters and importers, and consumers. The lease proceeds will go into the state's Victorian Transport Fund (VTF) to support infrastructure initiatives such as replacing rail crossings throughout Victoria.